Guys in kilts really ARE cooler. 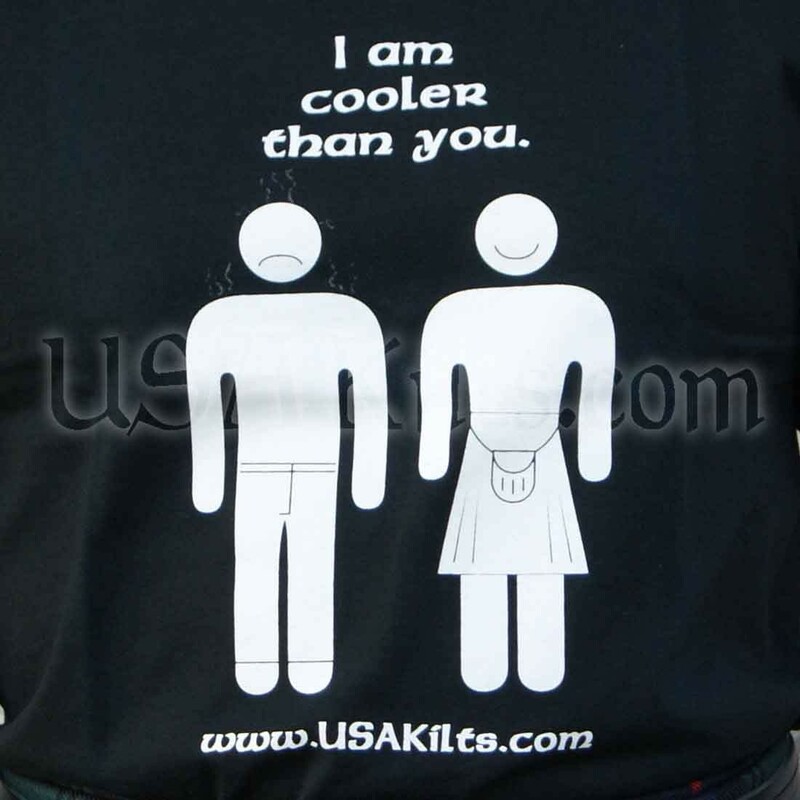 Show everyone what you think with this simple T-shirt. 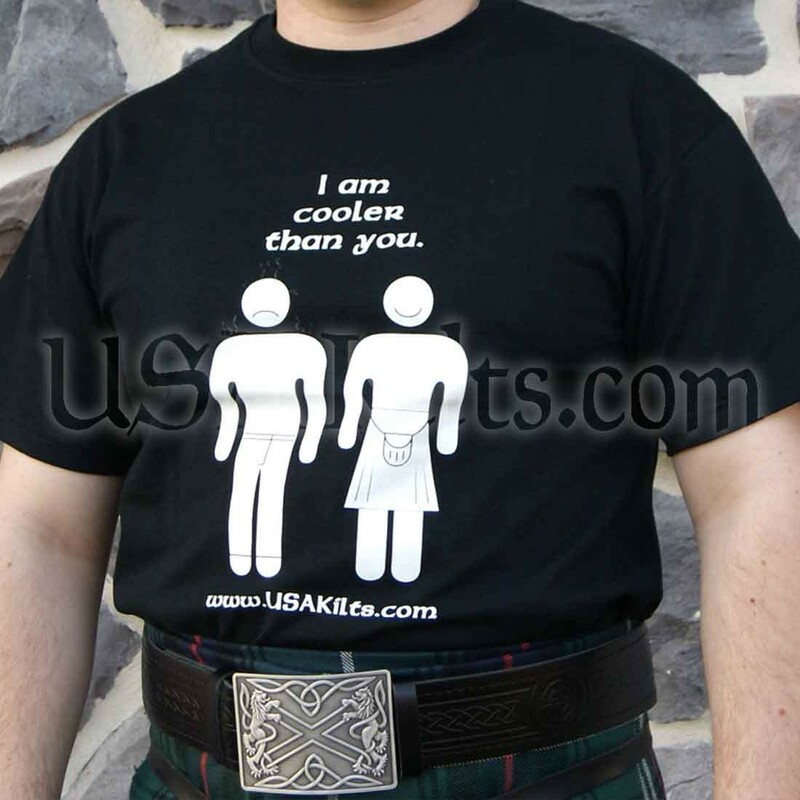 This shirt is made from 100% cotton and is preshrunk. First of all, this shirt is made of good quality material and the image on it promises to stay on indefinitely, so you're getting a very good quality product.